Our cycling programs have taken us to places such as Puerto Rico, San Diego, Seattle, New York City, and even Washington, DC, where the president of the United States met with a group of warriors in April. Bicycling is a big deal here at Wounded Warrior Project® (WWP). For years, it’s been one of the most accessible methods for the warriors we serve to stay active and healthy. 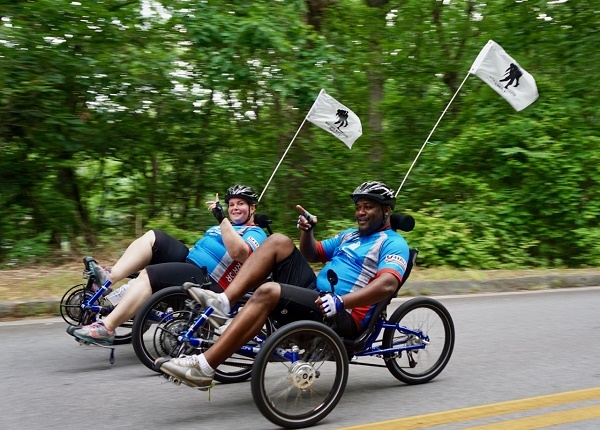 It’s also one of our biggest programs: Soldier Ride®, the multi-day cycling event that connects warriors as they push themselves physically and mentally while managing visible and invisible wounds of war. "I've been to many Wounded Warrior Project events, but the bicycle rides are my favorite. Being part of this organization has allowed me to connect with other veterans back stateside as well as here in Puerto Rico. I go riding every day as my physical and mental therapy. Through a Soldier Ride event, I discovered that my mind is relaxed when I'm on the bike. My legs are getting stronger, and bicycling is helping me lose weight. I never thought about being a cyclist when I joined Wounded Warrior Project five years ago, but it's allowed me to make new friends and keep in touch with how they're doing in their recoveries." "When I lived in Hawaii, I went through a warrior transition program because I had a traumatic brain injury. That's where I first got connected with Wounded Warrior Project, and they've been a big help for me with the events they do. Soldier Ride was something I had wanted to do for a while now. Being on this ride has been a real game-changer for me. I had forgotten how it feels to connect with other service members. This ride reminded me how good it is to be around people who served too, and who know some of the same experiences I've had. These are people I can sound off with and talk about what's happening in my life." "I've seen Wounded Warrior Project change lives, and I've seen how it has improved my marriage. Wounded Warrior Project sticks with its mission to honor and empower Wounded Warriors. I see what it does. I see the changes it makes – it has done it in my life, it's done it in my friends' lives, and it can do it in the next warrior's life. Getting out there on the bike, to be alongside other warriors like me, and see what it’s doing for them, is an incredible feeling." To learn about how WWP’s cycling events and Soldier Ride help warriors with fitness and camaraderie, visit https://www.woundedwarriorproject.org/programs/soldier-ride.